Sound Stage is one of a select few integrators and acoustical consultants that is certified by the Bose Corporation in their elite Bose® Modeler sound system software and Auditioner®. Bose® Modeler sound system software is a sophisticated, open architecture, predictive acoustical analysis program that helps determine the recommended configuration and location of loudspeakers for any venue. With this technology, Sound Stage sound designers and consultants can carefully create an acoustical model of the facility, help ensure that the design reduces unwanted echoes and excessive reverberation, and increase speech intelligibility and system performance. Bose®Modeler software and the Auditioner®, together with our level of expertise and training, provide a unique and powerful tool-set for Sound Stage as sound designers and acoustical consultants. 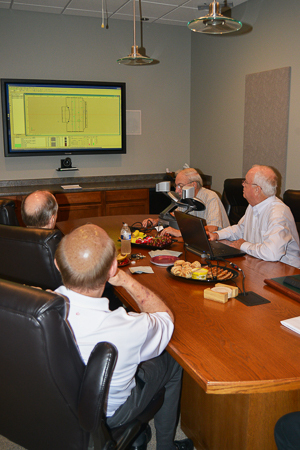 Our acoustic engineers will meet w ith you to perform a detailed evaluation and measurements of your space. We use this data to precisly configuration the sound system to work with the natural acoustics of the space. We work closely with engineers, builders and architects to gather information about the acoustical design of your building, including, but not limited to, the type of flooring, wall and wall treatments, ceiling structure, type of seating layout along with other architectural dimensions, all of which will affect the needs and outcome of the audio design.